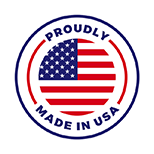 Our standard 1” air filters are made out of the highest quality materials and come in a variety of different grades based on your needs. All of our standard air filters help protect your HVAC system by helping to remove pollen, dust, mold, dust mites, and bacteria from the air you breathe. We even carry options for pet owners and individuals who suffer from allergies. Each grade of standard air filters are assigned a MERV rating for efficiency. Most of our air filters are made from pleated media which capture large particles from the air you breathe, but we also carry a carbon option, which is porous and help to reduce indoor odors. 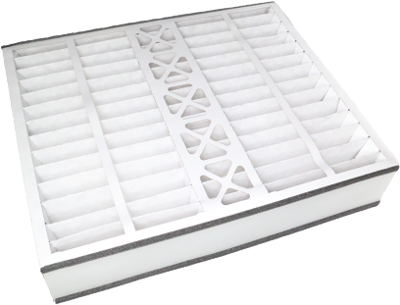 We carry 4-5 inch deep pleated air filters in addition to our standard sizes. 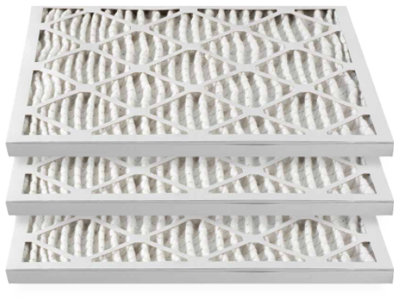 Similar to our standard 1 inch air filters, our deep pleated options help protect your HVAC system by removing all of the same airborne irritants, such as pollen, dust, mold, dust mites, and bacteria. These air filters work to improve the efficiency of your HVAC system and reduce your energy bill every month. They also carry a MERV rating and are made of the same materials that remove large particles from the air, as well as indoor odors. What Filter Quality Would You Like? Reduces basic household dust and pollen. Protects your HVAC system. Great for allergy sufferers and pet owners. Protects your HVAC system. Perfect for the cleanest odor reduced air. Great for allergy and asthma sufferers as well as pet owners. Protects your HVAC system. Reduces basic household dust and pollen and fights odors. Protects your HVAC system.